On Jan. 1, California Assembly Bill 16 (AB 16) went into effect, amending Penal Code Section 273.5 (corporal injury on a spouse, cohabitant or co-parent). It expands the definition of who can be a victim of domestic violence to include former fiancés and fiancées as well as current and former dating partners. With this expanded classification, it is important to know what impact this law can have on you. What Constitutes Corporal Injury on a Spouse or Cohabitant or Co-Parent? Under California Penal Code Section 273.5, as amended by AB 16, “any person who willfully inflicts corporal injury resulting in a traumatic condition upon a victim described in subdivision” is guilty of corporal injury on a spouse or cohabitant or co-parent. A corporal injury on a spouse, cohabitant or co-parent charge is a “wobbler” offense, meaning it can be charged as a misdemeanor or felony. As a misdemeanor, it is punishable by up to one year in county jail and fines of up to $6,000. As a felony, it is punishable by up to four years in state prison and up to $6,000 in fines. If you have previously been convicted for battery, sexual battery or other types of aggravated assault, the state prison sentence can be extended to five years. Who Can Be a Victim of Domestic Abuse? The mother or father of the offender’s child. What Impact Can the New Law Have on You? The additions of former fiancés and former dating relationships are key to section 273.5. With the expanded definition of who can be a victim of domestic violence, the number of domestic violence cases can be expected to rise. The inclusion of a broad category like former dating relationships to the new law brings about the problem that many relationships can end acrimoniously. Former dating partners often end up not liking each other and may be out for revenge. This can lead to false allegations of domestic abuse from former partners. It is important that you have an experienced Wallin & Klarich attorney who understands the changes to the law to protect you if you have been falsely accused. If you or a loved one is facing a charge of domestic abuse, it is important that you speak with an experienced criminal defense attorney. At Wallin & Klarich, our attorneys have over 30 years of experience successfully handling domestic violence cases in Southern California. 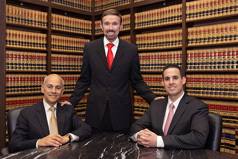 Our attorneys will fight to get you the best possible outcome in your case. With offices in Los Angeles, Sherman Oaks, Torrance, Tustin, San Diego, Riverside, San Bernardino, Ventura, West Covina and Victorville, there is an experienced Wallin & Klarich Southern California criminal defense attorney near you no matter where you are located. Call us at (888) 280-6839 to discuss your case. We will be there when you call. Dez Bryant Domestic Violence Video Rumors: Is Dez Bryant Being Extorted? Can a Man Use Self Defense Against a Woman in a Domestic Violence Case?